originally posted by: Irishhafthey knew beyond a shadow of a doubt that it was Russia..
and i knew they were full of it. I get that, but at this point it is up to the govt to prove it if they want to use this as a catalyst for further sanctions or other actions against Russia. No compound is ever 100% pure - there are always traces of the compounds used in the synthesis of compounds. These trace amounts of impurities and side-products can be used to analyze the method of synthesis - whether knowing the method of synthesis would actually find the maker, I'm not sure, but it could lead to evidence of who the maker might have been if the method of synthesis is unique somehow. Further, one can look at isotope percentages in the compound to come up with lists of possible sources for the various chemicals/elements used. I don't know where you're getting that. This isn't like a bomb or a gun where every manufacturer has their own signature. It's a chemical compound. It's going to show the same chemical makeup regardless of who made it. If that's the case then the witch hunt should end right now as we can never prove anything. However even the same chemical makeup can have distinguishing features due to the specific manufacturing process and exact ratios used, the impurities, etc. I assume the signature of the Russian supply is known or has been provided since it would have been manufactured quite a long time ago. Haha, so true! 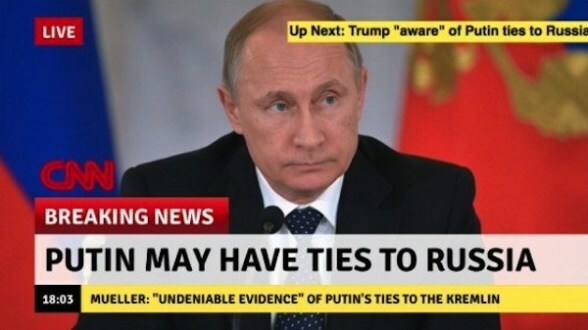 Apparently Putin has ties to Russia, btw. Can you imagine? Unfortunately for us, it will probably be decades before we know the full story. The UK isn't going to risk their intelligence apparatus just to appease the conspiracy theory crowd. Does the May NATO UK now get some golden raspberry awards? 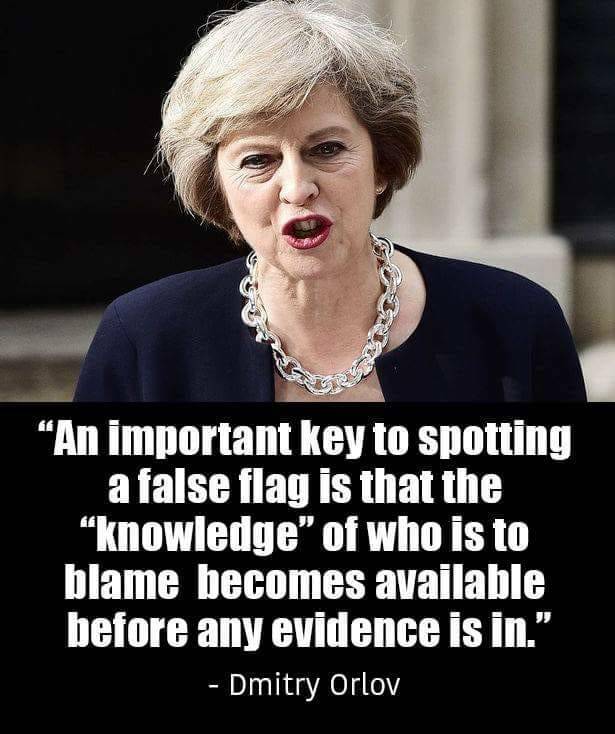 May for the worst acctress, Johnson for the worst supporting actor, the british false flaggers from the MI6 for the worst directoring, the NATO wests MSM for the worst picture etc. 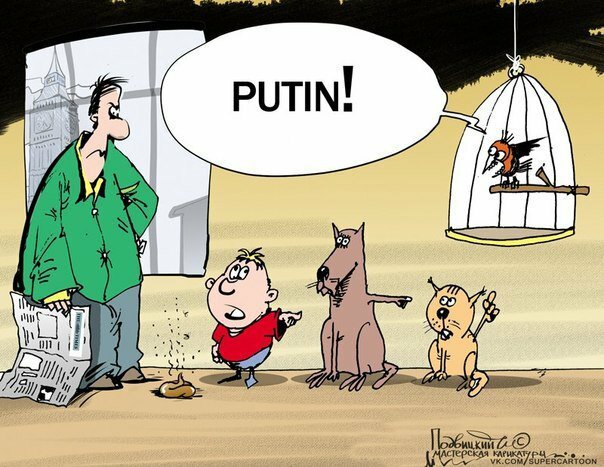 Where is the apology towards Russia, after there is nothing, really nothing left now that could somebody make believe the russians did it? Who is going to jail for that dangerous move? The real perpetrator endagered the lifes of millions of european citizens with that move to deflect from the UK´s domestic problems. 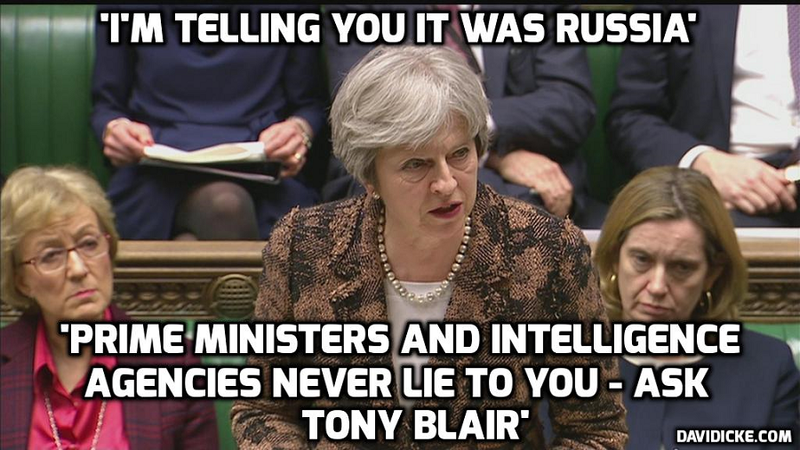 Nobody believed that silly story for just one second, except some cold warriors and some NATO arse licking western governments and the governments of some east european wannabe NATO members and the yanks, for sure.